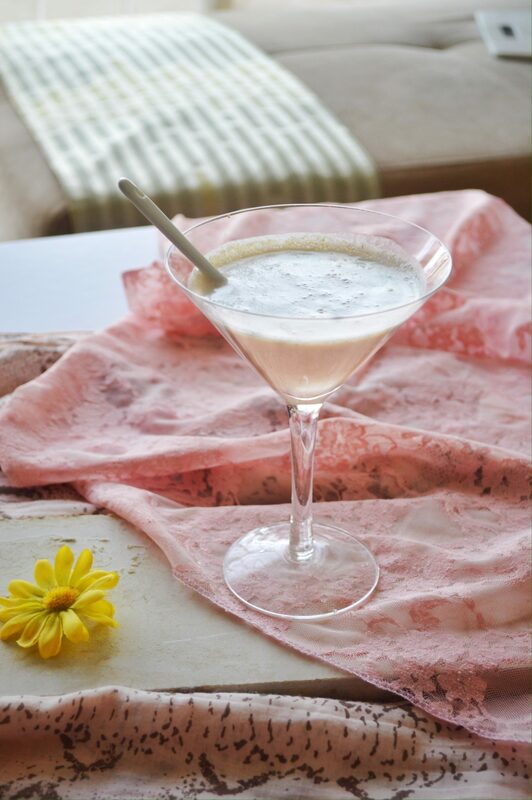 Beat the summer heat with this cool and refreshing drink, candy lassi. 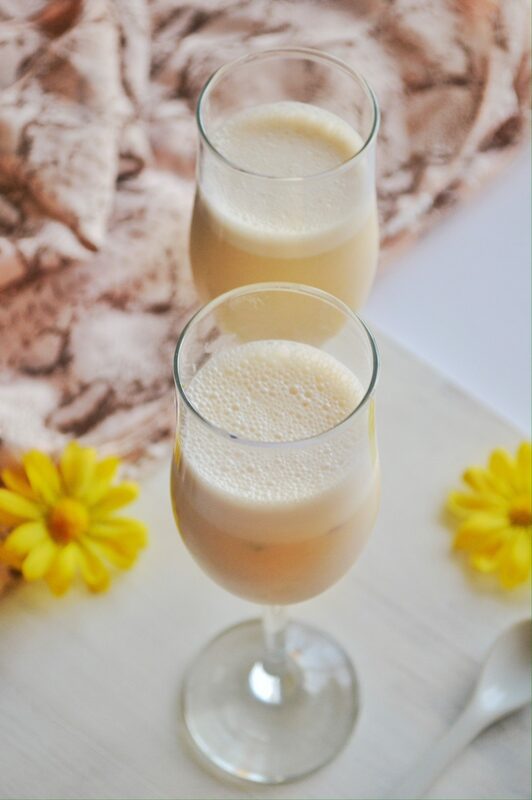 On a hot summer day, we like to slow down, relax and stay cool by enjoying a refreshing glass of lassi. Lassi, not to be confused with the beloved collie dog, Lassie 🙂 is a popular drink in India. 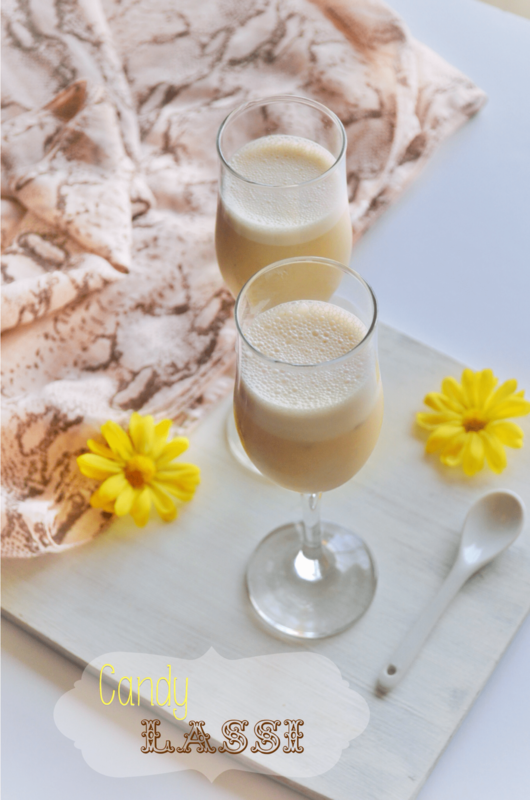 This delicious beverage is an exotic version of the milkshake and is a perfect compliment to any dish. There are so many different variations, but there are mainly two ways of drinking this: sweet and salty. 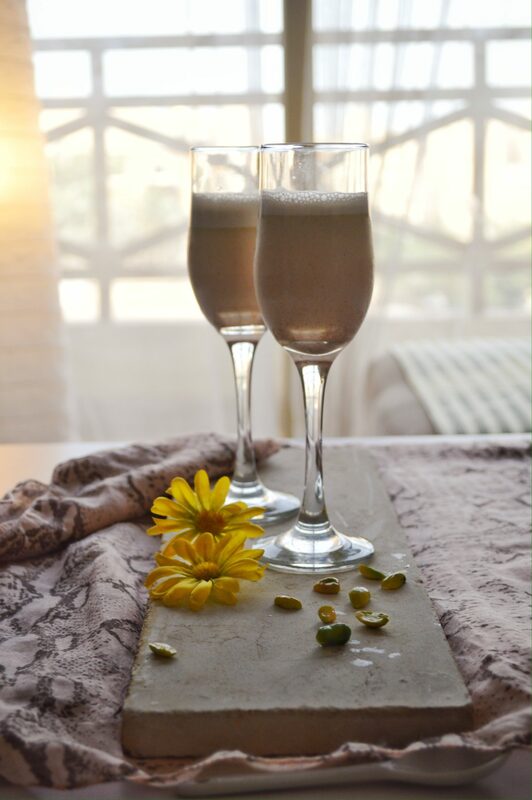 Salty lassi is made with spices(cumin), green chillies and curry leaves. 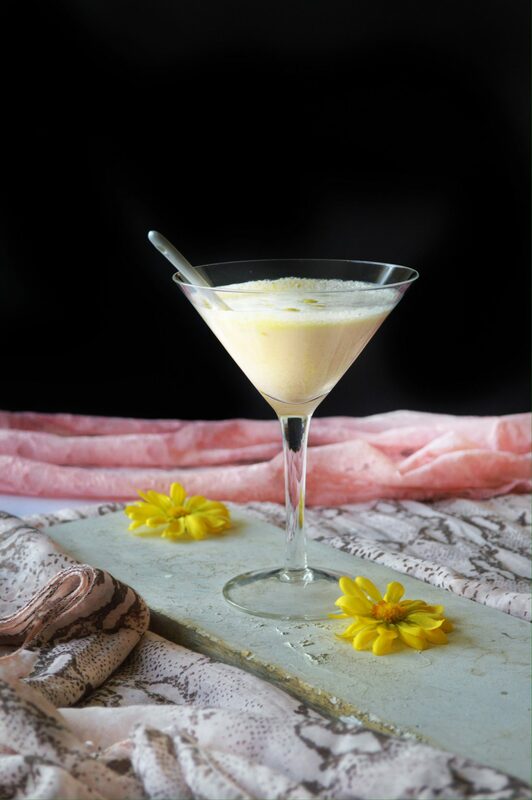 Sweet lassi has besides the sugar, fruits, berries or nuts added. Here i had made a combination of pistachios and almond for the nuttiness along with a very unique sweet ingredient , candy! Yep, you heard it right. I swear, it tasted so different and yumm. 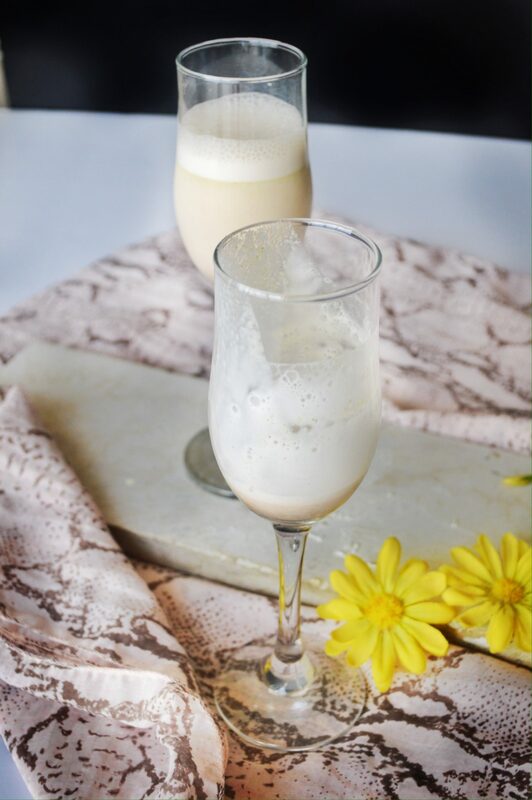 This yoghurt drink is laced with the sweetness of honey and it comes to life with a little bit of orange rind. How can something SO tasty be so easy. 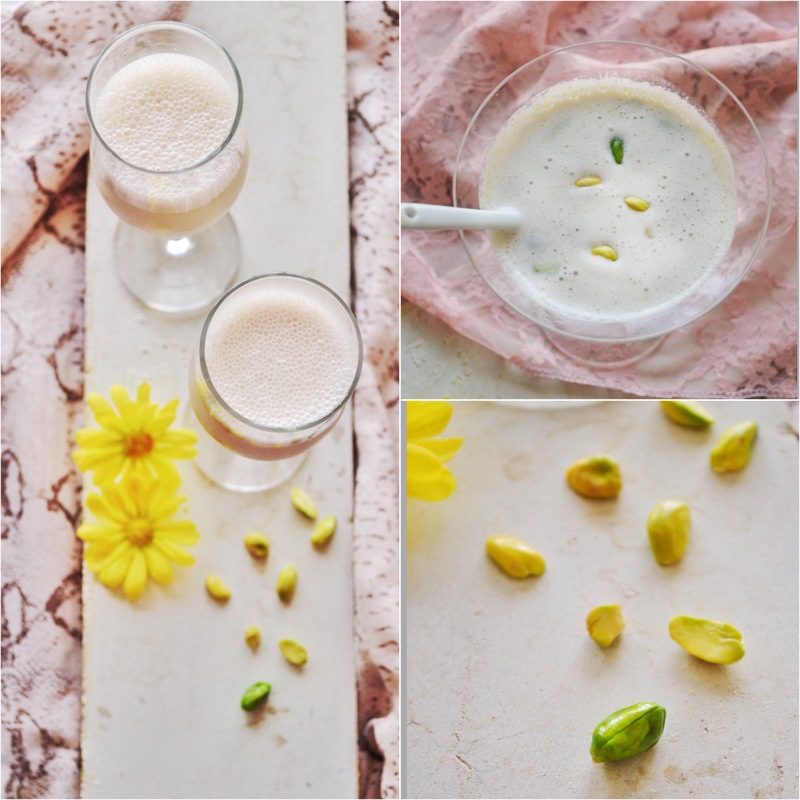 Just throw it all in the blender, let it whirl and you have got a gorgeous lassi. You have to just pour them in pretty glasses and serve your family or guests as a refreshing drink after dinner or just anytime. 1. 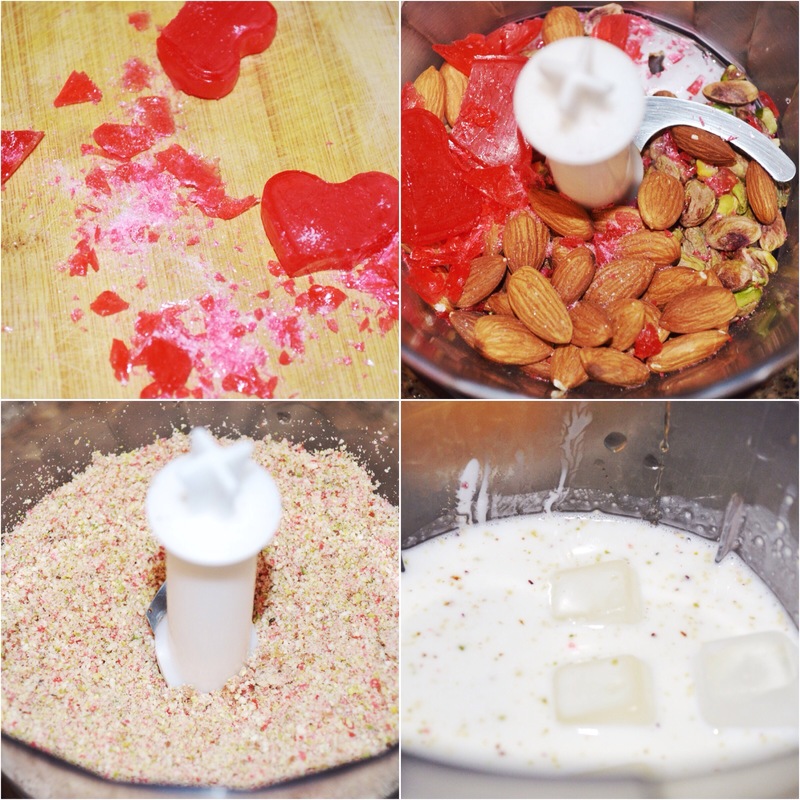 In a food processor or blender just finely chop the pistachios, almonds, orange zest and candy. 2. Blend them with the yoghurt, milk, sugar and honey and ice cubes till smooth and thick. 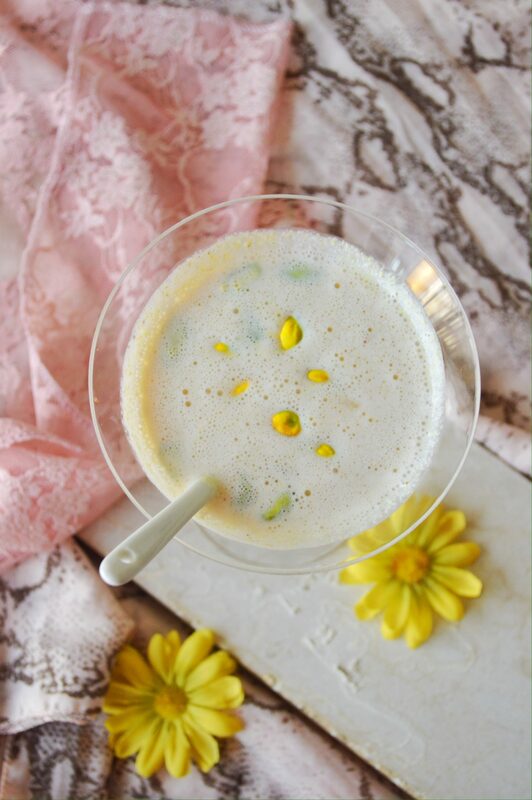 ✔️ You can chill the milk in the freezer in ice trays and use for a thicker lassi. ✔️ You can use whatever flavor candy you like. In a food processor or blender just finely chop the pistachios, almonds, orange zest and candy. Blend them with the yoghurt, milk, sugar and honey and ice cubes till smooth and thick. 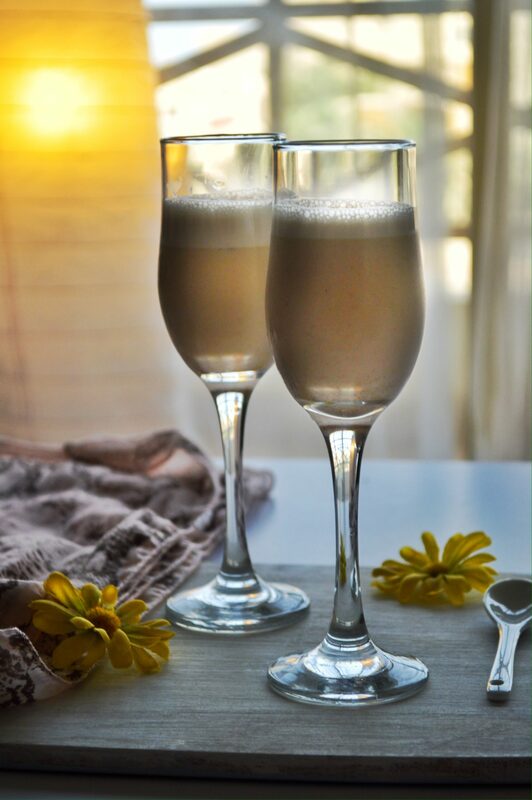 You can chill the milk in the freezer in ice trays and use for a thicker lassi. You can use whatever flavor candy you like. Only you can make lassi sound and feel so exotic. 🙂 beautiful. And not to be confused with Lassie….. I had a hearty chuckle early in the morning. I’ve never heard of a Candy Lassi, but I like the sound of it! Perfect for a hot summer day indeed! Photos look amazing and this drink is so creative! 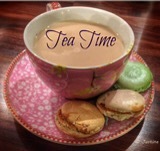 I really feel like sipping it from the screen! What a delicious beautiful drink! Such a unique take on the lassi! I love it.